Do your laundry in 5 minutes! Yes, that is correct. Drop it off and Village Laundry of Bergenfield, New Jersey will do the rest. Our team will wash, dry and fold your clothes for you. Our team does such a great job folding that you will think we ironed everything. When you get home, all you have to do is put everything away. Our wash and fold is the best for miles around. Join the crowd and let us make your life easier. We use the highest quality soap products. If you prefer, however, we can use your products. Bring them with you when you drop off your laundry. 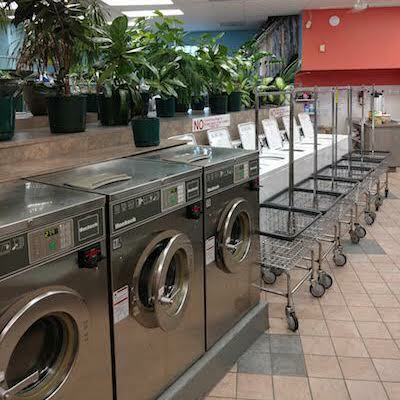 The Village Laundry team provides several other services, including dry cleaning, tailoring and alterations, and drapery and curtain cleaning. Contact us today to learn more!